If ever you needed proof of the weather changes that are taking place, you only have to look back at the difference now to what it was just some 50 years ago. The changes are dramatic and do not appear to follow any particular pattern and at times seem chaotic. Yet the changes are not random happenings, but leading to a more acceptable pattern and one that ensures that the extremes you usually experience no longer occur. Around you the chaos is another sign of what is happening, although much of it is karmic as old problems between people and even nations are sorted out. Yes, it is an unsettling time but it is necessary as you might say, to clear out the rubbish that will have no place in the higher vibrations. Your individual role is to clear out your own “rubbish” to enable you to take your place in the New Age, and enjoy all of the changes that will lift mankind to a higher level. If it is your desire to be part of the changes, your intent will carry you along and attract Guides who will assist you. We have often told you that nothing happens by chance, and it is worth bearing in mind as you might otherwise feel that you are at the mercy of random events. Where your own life is concerned there is always a plan that will enable you to evolve, so no opportunity should be wasted. You proceed at a rate that is agreed with your Guides who will help you to achieve success, however you always have freewill and the final decision is yours. Clearly if you desire to evolve you will do what is necessary to be successful, and that often means following your intuition without necessarily knowing the purpose. Of course some experiences take place to clear any karmic debts that you may have, so with this in mind it would serve you well to accept such situations with good heart. Nothing happens without good reason, so make the best of such opportunities. This is a time for forgiveness for all perceived wrongs against you, and bear in mind that all experiences are of value. Good news rarely features in your media’s reports, and we can assure you that there is a trend for more people to help others who are in need. The feeling of Oneness is spreading with the realisation that you “are your brother’s keeper” although some beliefs are so powerful that the differences are totally maintained. In such circumstances souls with such pronounced beliefs are born into countries where they can best learn their lessons and that “All Are One”. This is why wars still continue and would only normally cease when peace is seen as the only way forward. As one who is more aware, your presence can be very helpful when by example you live life as it should be, in peace and harmony with all living Beings. Indeed, by living your beliefs you are helping others simply by being amongst them. Your Light will most likely attract others to you who desire to know how you can live at peace, when often chaos is all around you. As you have become to realise, we are keeping a close eye on those who could destroy the Earth if their activities were left unchecked. The Illuminati and their minions are carefully monitored and they cannot do anything without our knowledge. You can therefore be assured that there will be no major incidents of destruction, and certainly no wars other than small disputes. Our role is to lead you safely to a peaceful conclusion, and then circumstances will allow us to openly come to Earth. It will be a great time of rejoicing and revelations that will clear up the mysteries of your past history. You have been deliberately kept in the dark, and held back from advancements that would have immensely improved your quality of life. It is as if you have been locked in a time capsule where time has stood still. This will all change in the near future and you will be amazed at how quickly you will make up for lost time. Think big where your future is concerned, as you will find your consciousness expanding more quickly as you enter the higher vibratory rate. You will be astonished at the extent of changes that will see you enter a New Age of peace and prosperity. The fruits of the Earth will be more than ample for your needs, and sharing will become normal and there will be sufficient for everyone’s needs. 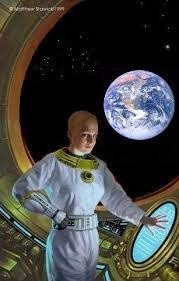 New inventions that are being held back will be released, and the drudgery and hard work to survive will become a thing of the past. The world will open up to you and travel will become quite normal, where distant places can be easily reached in next to no time. It will of course mean that new forms of travel will have been introduced, and much of your present means will have become obsolete. It is going to be an exciting time for everyone and the changes will happen quite quickly with our help. At a time when it is difficult to comprehend where events are leading to, we hope we have lifted you up by giving you an insight into the future. Nothing can stop the plan for your future and we are as you might say, raring to go and looking forward to bringing you into the New Age. Previous cycles have ended in major changes that have put Humanity back to commence another new one. This time you have completed a Solar Cycle successfully, and those of you who have lifted up your vibrations will continue to evolve as you enter the New Age. Every soul will find itself exactly where it is best placed to continue its experiences. We know that such statements cause some concern within family groups that wish to stay together. We would like to assure you that there are usually strong ties within them, and it would be unusual if they did not progress as one unit. However, you will find that as you evolve you will be drawn to groups of a like vibration, where you will continue to evolve until you find the need for a different experience. 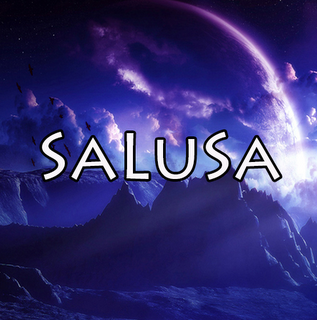 I am SaLuSa from Sirius, and I enjoy my time with you and look forwards to meeting many of you in the near future. Time itself will not have the same effect on you as now, and in a manner of speaking will no longer rule your life. There are so many welcome changes that await you, and once we are able to introduce ourselves we shall all go speeding along into the New Age that holds so much for you. Keep looking ahead and know that your life is one story that has a happy ending.